Welcome to my world! | Nan Tubre Writes . . . If you have ever been overwhelmed with life and need a quiet place to get away, please consider Felicia Wiggins’ BandB. 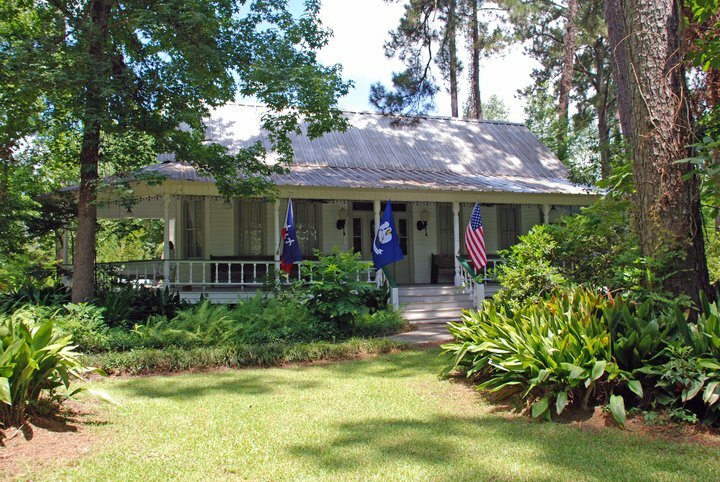 It is an adorable place by the name of LeVillage and is located in Eunice, Louisiana. 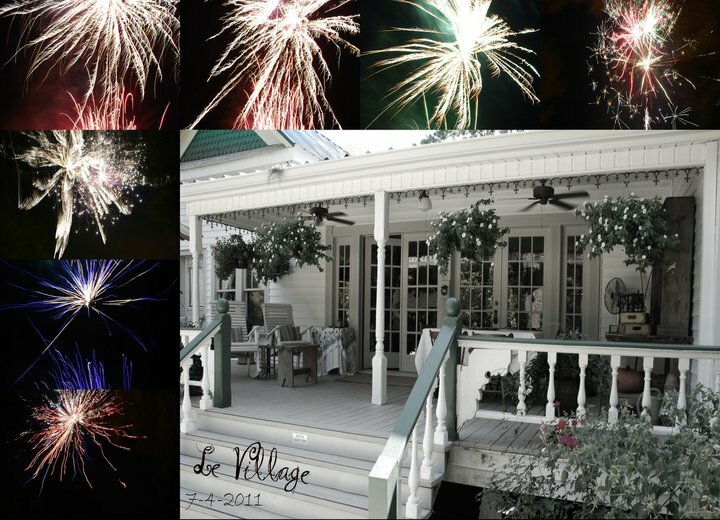 You can view her website here: http://levillagehouse.com/ or see her facebook page here: https://www.facebook.com/#!/levillageguesthouse?sk=info LeVillage is a terrific place to unwind and is chock full of personality and charm. In addition, Market Monday is hosted there on the second Monday of each month. 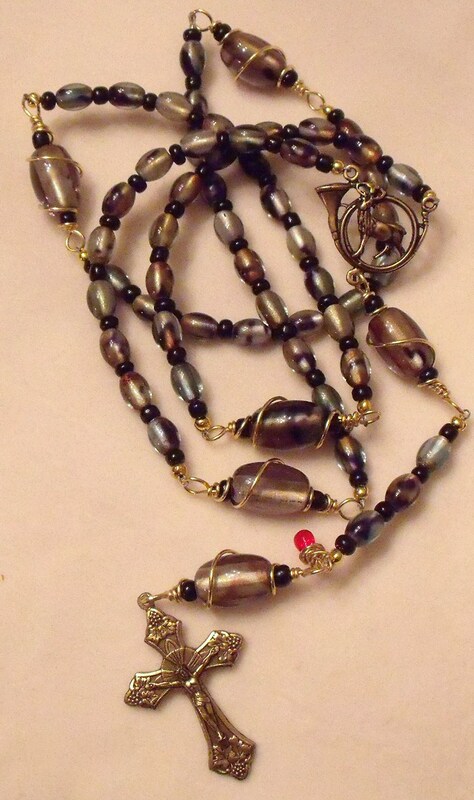 It’s a terrific opportunity to load up on a varity of handmade items (including some of my handiwork!) in a wide range of taste. 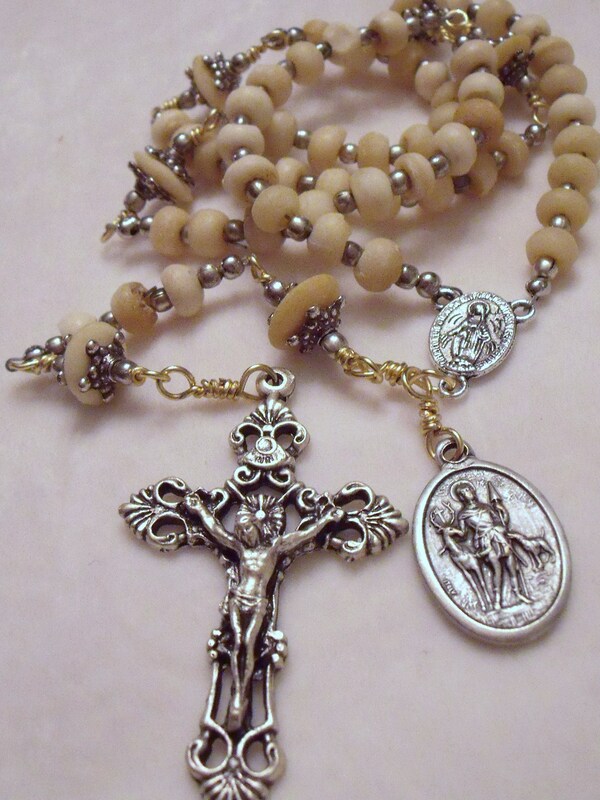 It’s hunting season here in Louisiana and I wanted to put together a rosary for the faithful that they can identify with. I reasearched St. Hubert, the patron saint of hunters, and found that he was quite a fellow. He was born in the mid 600’s, of noble birth, and apparently had a lot of charm and quite the way with words as he evangelized to the pagans far and wide. A worthy saint, he is also the patron saint of mathematicians, opticians, and metal workers. He’s a pretty interesting guy. You can read more about him here: http://en.wikipedia.org/wiki/Hubertus. 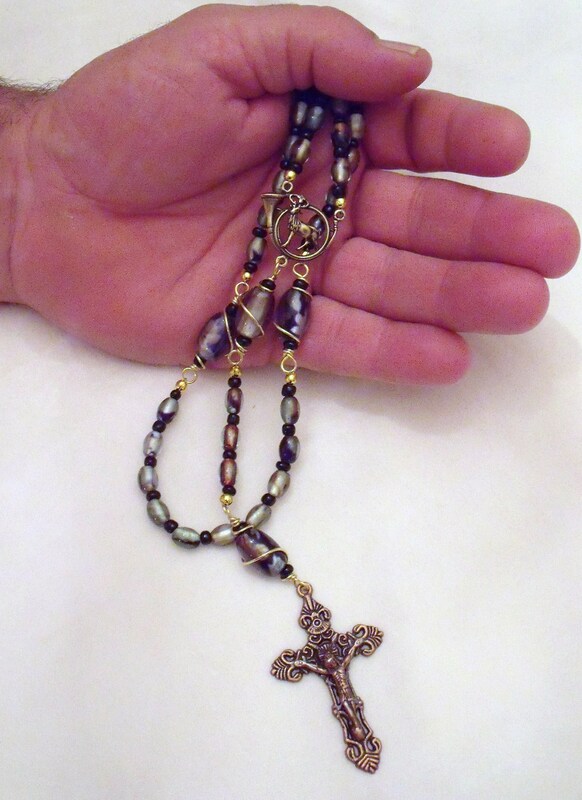 When I made these rosaries, I used either St. Hubert medal or a St. Hubert center connector. Both styles turned out beautiful, if I may say so myself. All to the glory of God. Ya’ll have a great day now, ya hear?! Your blog look super! Love the pretty background. Best wishes for lots of visits! Lovely Blog! I will be following to see more! Pingback: Nan Tubre Writes . . .